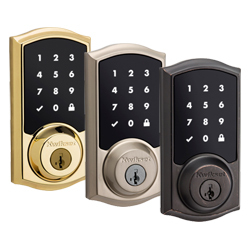 When designing Kwikset Obsidian, we created the sleekest smart lock available. 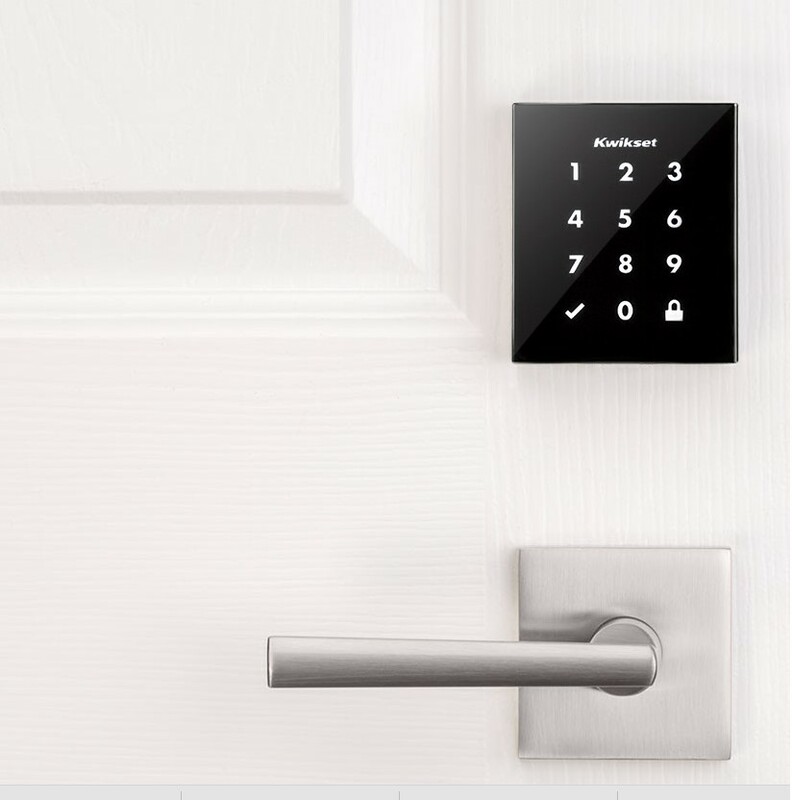 Obsidian’s style-forward design seamlessly blends with any home’s decor as well as offers key-free convenience with its capacitive touchscreen. 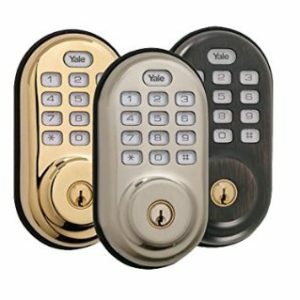 Obsidian also features 9V terminals at the bottom of the deadbolt exterior that act as a backup power source in case the batteries run out. 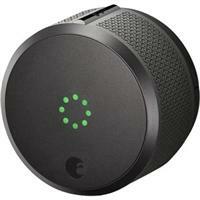 Use the 9V battery to quickly power the touchscreen by simply touching the battery prongs to the terminals. 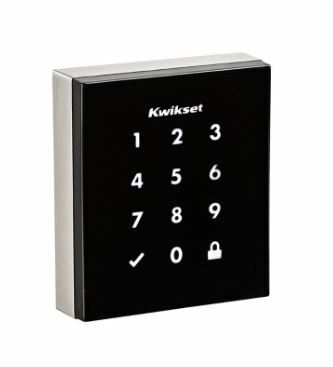 When designing Kwikset Obsidian, we created the sleekest smart lock available. Obsidian’s style-forward design seamlessly blends with any home’s decor as well as offers key-free convenience with its capacitive touchscreen. 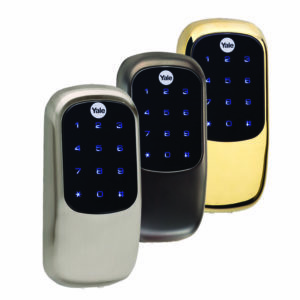 Obsidian also features 9V terminals at the bottom of the deadbolt exterior that act as a backup power source in case the batteries run out. In addition, Use the 9V battery to quickly power the touchscreen by simply touching the battery prongs to the terminals. 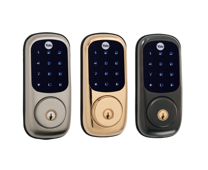 Compatible with Kwikset Convert, and Kwikset SmartCode 888. 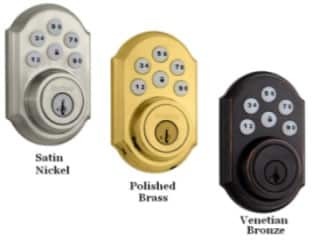 Pairs beautifully with Kwikset contemporary knobs and levers. Lever shown is the Montreal™ in Satin Nickel finish. 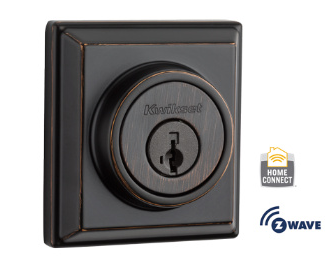 Obsidian with Home Connect featuring Z-Wave® Plus offers extended wireless range, over-the-air firmware updates, and superior wireless encryption.